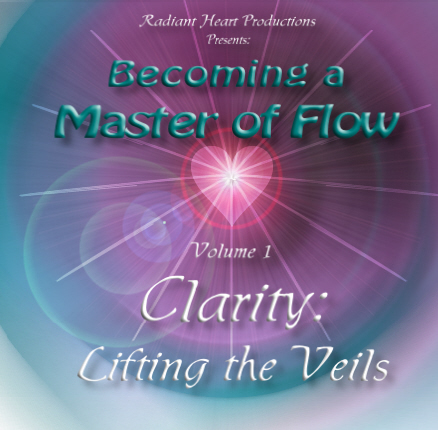 The guided meditations in this album are for discovering your Self from higher perspectives. It is possible to find your "Pre-mind Essence," the You as you exist before devolving into thought. You can also find your life purpose from this pre-thought state. These journeys will bring you into a more pure sense of Who You Are, enabling you to find your energy at truer levels, and to find it in ways that facilitate higher flows moving through you. Finding and experiencing yourself at this level expands and empowers your knowing your authentic Self, and brings clarity in lifting the veils to what you're here to be/do. Ray Hix - Receiving Clarity Transmissions - 31:00 € 4.75 Buy this Single mp3 ! Ray Hix - Asking Soul About Your Purpose - 30:40 € 4.75 Buy this Single mp3 ! Ray Hix - Transmissions For Self-Love & Lord Self - 30:34 € 4.75 Buy this Single mp3 ! Ray Hix - New Paradigm Pure Essence Light - 29:35 € 4.75 Buy this Single mp3 ! Ray Hix - Expanding Being: Pure Self, Life Purpose - 31:04 € 4.75 Buy this Single mp3 ! Ray Hix - Viewing the Energy Structures of Your Contribution - 23:56 € 4.75 Buy this Single mp3 ! Ray Hix - Expanding Into Divine Intelligence - 30:40 € 4.75 Buy this Single mp3 ! Ray Hix - Carried and Empowered by Divine Purpose - 30:10 € 4.75 Buy this Single mp3 ! Powered by the 1-2-3 music store.